Consumers, retailers and businesses nationwide throw away millions of tons of food each year, with waste ultimately affecting profit levels and keeping officials up at night. Food loss can happen at any stage in the production process, whether it be harvesting, processing, retailing or consumption. It’s a global problem, with the U.N. Food and Agriculture Organization estimating that as much as 1.3 billion tons, or one-third of all food made for human consumption, is wasted each year. In an attempt to deal with the issue, the U.N. 2030 Agenda for Sustainable Development aims to cut global food waste by half before 2030. In Japan, the Ministry of Agriculture, Forestry and Fisheries estimates that 6.21 million tons of edible food was thrown out in 2014, 2.82 million of which came from households. To put this amount in context, it’s almost twice the 3.2 million tons of food that was distributed by the World Food Program in 2015. In an attempt to cut food waste, the government passed legislation aimed at establishing a society based on recycling in 2000, and has since taken active steps to promote the “3Rs”: reduce, reuse and recycle. Other legislation that has been enacted includes a law on food recycling that seeks to cut food waste and promote recycling into feed and fertilizer. Businesses that produce food waste of 100 tons or more per annum are obliged to report it to the relevant minister and will be penalized if they don’t take appropriate measures to reduce waste. Despite the legislation, however, businesses discarded 19.53 million tons of food waste in 2014, of which 3.39 million tons was categorized as being edible. The causes of food loss are numerous, but experts in the industry tend to place a significant portion of blame on the so-called one-third rule, a commercial practice where manufacturers must deliver food to retailers in the first one-third of the term left on the package until its expiration date. If the goods don’t reach retailers before this, they are generally discarded. For example, if a bag of potato chips has six months until the recommended best-before date, manufacturers need to deliver it to a retailer within two months. This would then give retailers two months to sell the bag and, if this proves impossible, then it is either sold in a sale or discarded altogether. In 2013, 35 companies participated in a government-backed pilot program to extend the term of beverages and snacks between manufacturing and delivery from one-third to half. 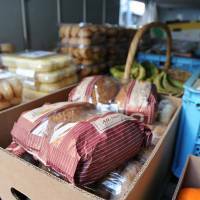 As a result, they were able to save 40,000 tons of food and drinks worth ¥8.7 billion, which reduced total food loss by as much as 1.4 percent. Despite the plan’s success, Suzuki believes it will be difficult to change the existing mind-set in the industry. In many cases, the discarded food products are still within their expiration date and dumping them when they could still feed some hungry mouths seems like a waste. Indeed, the Japanese language even captures this helpless sense of regret concerning waste in a single word — mottainai. Second Harvest Japan is one of a handful of enterprises trying to do something about the situation. 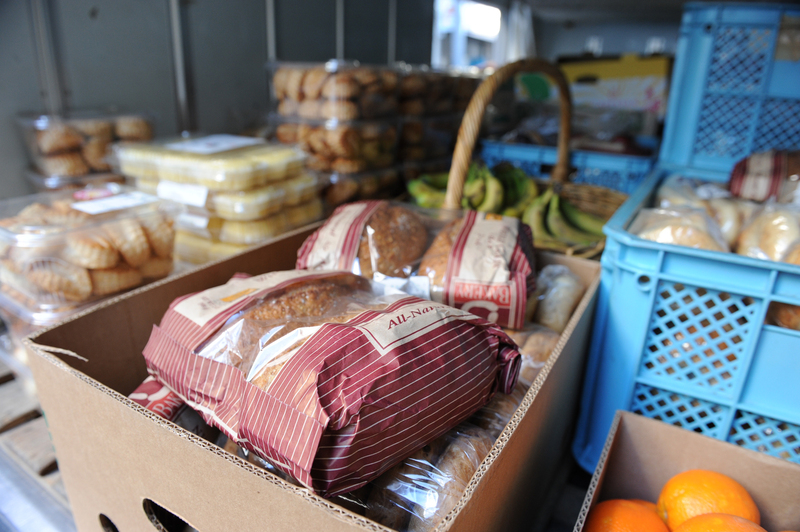 Founded by Charles McJilton in 2002, the country’s first food bank redistributes thousands of tons of perfectly good food to people in need nationwide. On a hot summer afternoon in July at the Second Harvest Japan headquarters in Tokyo’s Asakusabashi district, food and beverages are neatly stacked according to their category: baked goods; fresh fruit and vegetables; refrigerated products such as yogurt, milk, eggs and sausages; and dry goods such as rice and canned food. The atmosphere that hangs in the air of what the group calls “the pantry” is lively. 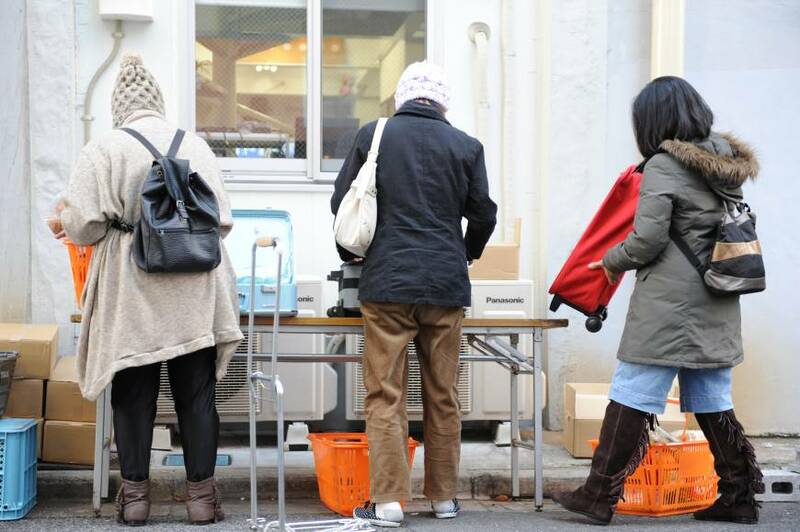 Second Harvest Japan employees and volunteers busily distribute parcels of food to individuals of various nationalities, none of which has surpassed its expiration date. The pantry is open four times a week. The facility boasts offices, a kitchen in which boxed lunch sets are made, a children’s cafe that opened in March this year to provide not only food but also educational support and, of course, the food bank, where boxes of supplies are stacked from floor to ceiling until they are delivered to other locations nationwide. McJilton arrived in Japan in 1991 as a foreign exchange student and lived in Tokyo’s Sanya district, which is known for its day laborers and homeless population. McJilton wanted to set up a self-help center in the area and decided to live with the homeless for a while. For 15 months starting January 1997, he worked during the day and went back each night to the cardboard home that a homeless man showed him how to build. He says the experience taught him not to feel responsible for the problems the homeless face. What mattered most, he recalls, was how he responded to them and, as a result, he has developed a relationship built on trust with both the donor companies and the people they provide food for. The nonprofit has come a long way since its inception. Second Harvest Japan handled just 30 tons of food in its first year, an amount that climbed to around 2,500 tons in 2016. 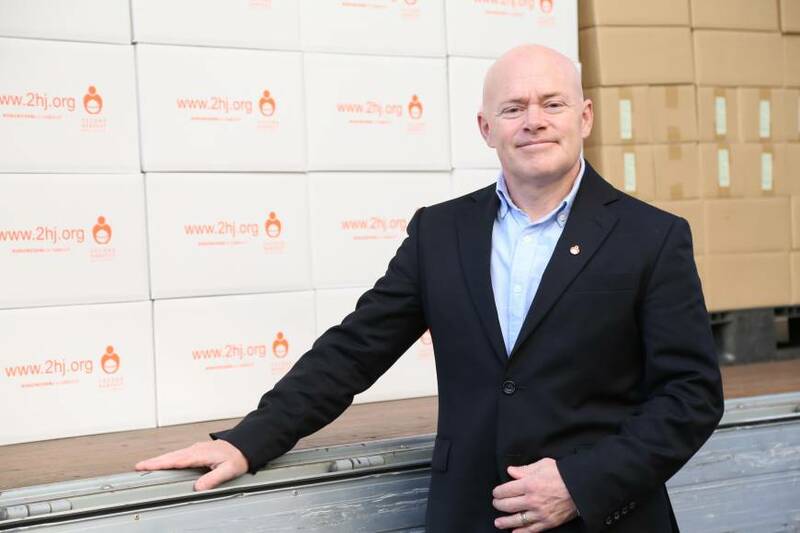 And while just two donor companies were working with Second Harvest Japan in 2002, more than 1,350 companies were working with the food bank by early August. The organization has created its own QR tracking system for inventory management. McJilton explains that they set up the system not only to ensure that the food reaches the right people but also to enable a recall if necessary. Second Harvest Japan was something of a pioneer when it first started operations. Currently, about 80 food bank organizations are operating nationwide, but progress has been slow. Western countries, by comparison, have a much longer history of food banks. According to the farm ministry, the first food bank in the United States was established in 1967 and there are now about 200 entities active nationwide. The United States has a variety of systems and laws in place to support the activities of food banks and donor corporations, including the Bill Emerson Good Samaritan Food Donation Act, which exempts companies from being held responsible for unintentional food-related accidents. The U.S. government also buys excess agricultural products and redistributes them to food banks. Rumi Ide, an expert on food loss and a former spokesperson for Second Harvest Japan, says the lack of a similar support system for food banks and donor companies has slowed the evolution of food banks in Japan, adding that people are often hypersensitive to food safety issues here. Ide recalls an expert on radiation contamination discussing the myriad risks associated with food in general — from dangers linked to physical composition (such as mochi rice cakes that can choke young children and elderly people) to scientific risks such as chemicals, additives and radiation. Such risks also explain why it’s not common for Japanese customers to take home leftovers, Ide says. Ide, who has also worked for household product maker Lion Corp. and cereal maker Kellogg Co., sees value in reusing food products through food banks, but argues that it’s ultimately better to reduce the amount of waste as a whole. Some companies and organizations in Japan are introducing their own measures to curb food waste. At Japan Weather Association, a privately run meteorology company, engineer Toshio Nakano has developed a system that uses weather forecasts to help companies analyze demand for certain types of food. Since 2014, Nakano has worked on an experimental project involving several companies’ products, including Sagamiya Foods Co.’s tofu, Mizkan Holdings Co.’s soup for chilled Chinese noodles and bottled iced coffee produced by Nestle Japan Ltd. 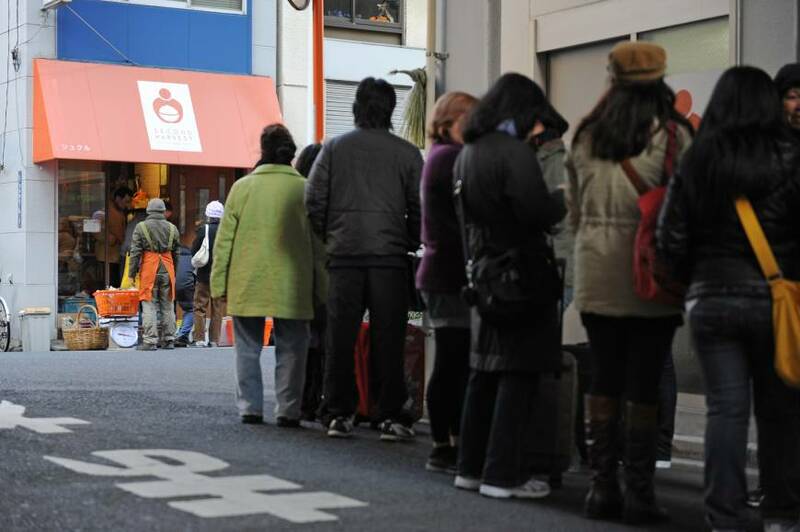 In each case, Nakano has managed to accurately forecast demand and, as a result, cut any excess inventory for the product. Nakano collects data on weather forecasts and records of a product’s sales in the past while also examining trends on social media sites such as Twitter, looking for keywords that reflect how people are feeling in the current conditions. The foundation of his project is based on weather merchandising, a concept that has been around for a while but only recently have improvements in technology enabled Nakano to collect data that is extremely accurate. As a result, Sagamiya estimates it can cut 5,840 tons of food loss, while Mizkan was able to cut between 20 and 90 percent in excess inventory. Nestle was able to cut 54 percent of carbon dioxide emissions per 1 ton of cargo. The path to success, however, has not been easy, Nakano recalls. He initially asked around 100 companies if they were interested in participating in the project but ended up with just three. From April, however, he was able to expand his forecast models from focusing on food producers to manufacturers of seasonal items such clothing, sunscreen, heat packs and so on. In order for the program to work, Nakano says the companies involved have to be committed to cutting food loss. While the government and businesses involved in the food industry have begun to take measures to cut food loss, it’s important for households to also do their bit. Remember, households produce 2.82 million tons of food waste every year. Ide says some consumers don’t fully understand the difference between shō-hi kigen (the expiration date), which is a regulatory benchmark seeking to ensure food safety, and shō-mi kigen (the best-by date), which is a more lenient deadline. She also notes that some people dig their way toward the back of the shelves to get the newer products, which also contributes to food loss. This is why Suzuki emphasizes the need to pass down mottainai values to the younger generation through education.